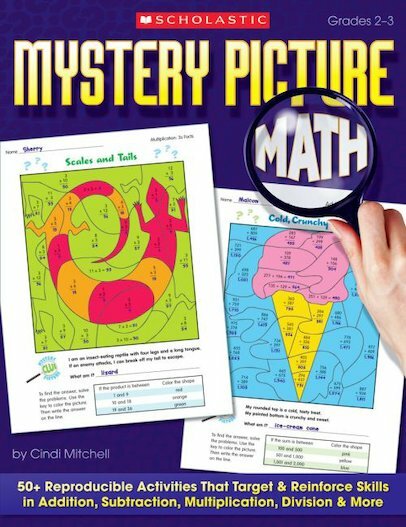 Motivate even the most reluctant student with fun math practice pages that reinforce skills form many key areas of math – without the student even realizing it! Students have to solve problems on a hidden picture page and then use a key to color and reveal a mystery picture. Riddle clues on each page add to the fun and once finished students have brilliant pictures to keep and show-off! For use with Grades 2-3.